the planet’s tilt and turn? the blooming of brighter light? the pull of pear blossoms in warm rain? oh patient and humble savior? presaged a kind of change. Sonja Johanson attended College of the Atlantic, in Bar Harbor, ME. 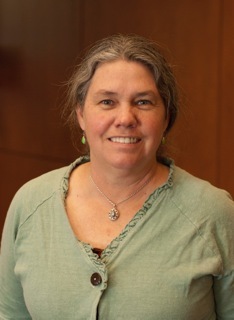 She currently serves as the training coordinator for the Massachusetts Master Gardener Association. Her work appears in journals including the Albatross, Dandelion Farm, Referential Magazine, and Shot Glass Poetry, and she was a participating writer in the Found Poetry Review’s 2013 Pulitzer Remix Project. Sonja divides her time between work in Massachusetts and her home in the mountains of western Maine. sun torn blossom laid bare to touch. world is all we need. clear and constant warm voices. 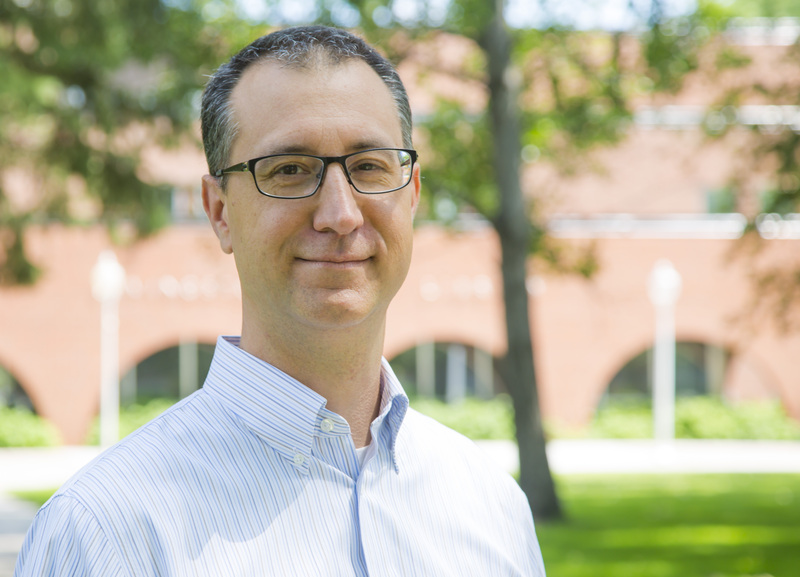 Travis Dolence is a librarian and MFA candidate at Minnesota State University Moorhead, where he composes poetry when he’s not answering reference questions. His work has appeared in the chapbook The Lyrical Librarian: Verses from the Stacks, published by Consortium. Travis has taken the University of Minnesota’s excellent beekeeping course – taught by the bee expert Marla Spivak. Growing up, Travis would accompany his grandfather while he tended his hive. He hopes to pass on this experience to his three children. Travis is currently in the early stages of compiling his poems for his thesis. In addition, he is working on a young adult verse novel set in Northern Minnesota and loosely based on Eastern European folk tales. Let’s talk about them, bees. bold firm bodies, busy wings. Image: “Bee Fascinated” by Debra Hall, via Grey Pepper Art. Appears by permission. “Fox Contemplates the Nature of Bees” first appeared in The Ithaca Times in January 2013 and appears by permission of Kathryn Machan. Jim was given custody of the bees in his divorce. Not knowing where to go with them when he moved out, he housesat for a woman in her seventies who needed someone to look after her hives while she summered in Canada. He integrated his bees with hers in the backyard, fed them sugar water, and—barely—saved them from hive beetles. Jim had plumbed the shed for a sink, built a closet, laid a hardwood floor, installed a mini refrigerator, but until he dug a trench for a composting toilet, he used the backyard or Judith’s bathroom. At night, I would pull on my shoes, part a mosquito net that served as a screen door, and make my way by moonlight to the grove of hemlocks behind the cottage to squat in the grass. Sometimes when I climbed back into bed he folded my night-damp body in his arms. Other times, he merely stirred, leaving me to look for warmth I’d left under the sheets. Jim wrestled in college. He never lay on top of me that he wasn’t conscientious about knees and elbows, distributing his own weight. The sound of rain on the roof was romantic. I could deal with muddy sneakers. As we started to close the windows against November nights, to leave a fleece within reach of the door, I knew I had to end the relationship. Summer rain or sleet in February, that one-room cabin wasn’t getting any bigger. It wasn’t the inconvenience I minded so much as how the arrangement allowed him to keep sealed the other chambers of his heart. I might hum around all I liked, industrious as any worker bee, dancing clover nectar off my feet, but I would never be taken to the queen. “The Bedroom that was a Beekeeper’s House” was first published in Brevity, Issue 44, Fall 2013, and appears here by permission of Amy Wright. 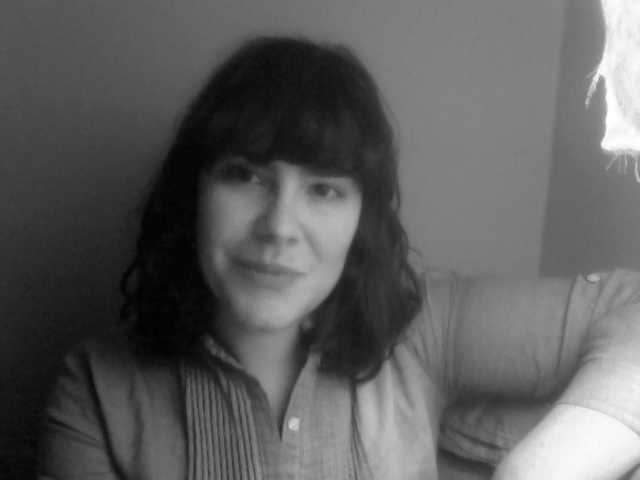 Amy Wright is the Nonfiction Editor of Zone 3 Press and the author of four poetry chapbooks. She received a Peter Taylor fellowship for the Kenyon Review Writers Workshop, an individual Artist’s Fellowship from the Tennessee Arts Commission, and was recognized as an Emerging Writer at the Southern Women Writers’ Conference. Her work appears in a number of journals, including Brevity, Diagram, Drunken Boat, McSweeney’s Internet Tendency, Passages North, Quarterly West, and Tupelo Quarterly. Reports about Utahns’ conservative views. The eyes of bees are quite different from our own eyes. 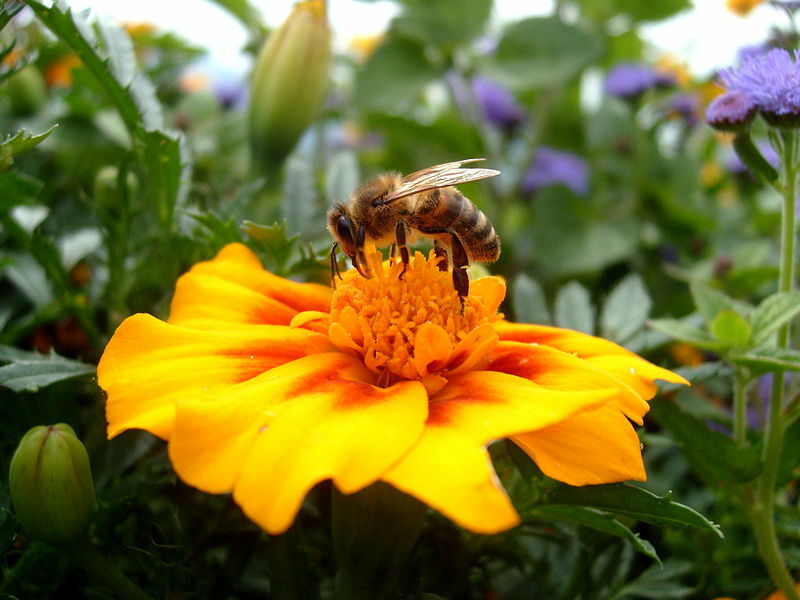 Due to their particular makeup, bees are unable to focus or zoom in on objects in the outside environment. We humans can turn towards any object in the world with the help of our flexible lenses. Our consciousness can move from within to the outside world of light, colors and objects. Bees, on the other hand, solely receive the light. The light streams through their open eyes into their body, almost as if they were merging with the visual world. Their breathing organs have a similar quality. Human lungs are an interface between the outside environment and our inner organs. Bees have a tracheal system which enables the outside air to reach every single organ and tissue directly through small channels within the bee’s body. The ocean of the air reaches every part within. In these examples of air and light we find that there is no substantial separation between the bees and their environment. It is as if they are one and the same, as if the outside world is an extension of their inside. Just as we come to realize how intimately the bees are connected with their environment, we discover that the colony as a whole is organized as a separate individual entity. All physical life forms are defined through a membrane separating the inside from the outside world such as our skin. This membrane makes life in a physical form possible as it enables all life forms to control their inner milieu. A bee colony portrays these same features. The bees as a single organism control all aspects of life in the hive and maintain a constant temperature within, summer and winter alike in any climate. Due to this homeostatic environment, we can imagine an invisible membrane surrounding the core of the hive. The colony’s embodiment is within this virtual and functional membrane. That space is inhabited by individual members, the bees. The colony becomes one entity; it becomes one animal. 50,000 individual bees constitute one body. They equal the somatic cells of multicellular beings. The biological term for this is super-organism: the super organism goes beyond the individual parts and is more than the sum of its parts. This is evident in that a single bee is not able to survive by herself. The old German word bien is an attempt to describe this oneness and define it as one being. The bien is one being in countless bodies. The colony is both a society of thousands of individuals as well as one super-organism, one bien. What is so fascinating is that there are two fundamentally different systems which merge and depend upon one another. The multitude of all the single bees creates one being with capacities far beyond those of each individual bee. The bien, on the other hand, enables the vast number of bees to excel and thrive on more refined level of life. The bien’s largest internal organ is the comb. 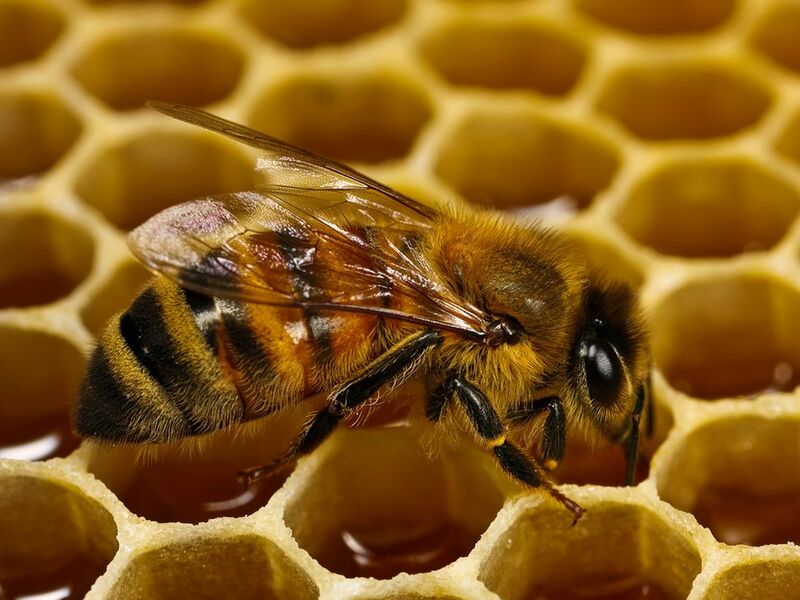 Bees are able to create wax out of themselves and form wax comb where they spend about 90% of their life. The comb is the location for various functions and physiological properties. It is the skeleton of the bien, it is the place where pollen and nectar are metabolized into honey and beebread . All the individual bees are raised in a social uterus/womb. It serves as a communication platform, the comb-wide-web, for the famous waggle dance. Comb is part of the immune system of the bien. It contains microbiologically active propolis, and it also has symbiotic fauna as in our own intestines. And, last but not least, comb is a memory organ of the hive. The entire life of the bien is documented in the construction of comb and all the scents within. Even as the bees move on the comb in darkness, they know exactly where they are by the scents within the wax. The wax and comb are a reflection of the environment of each individual bien. The variety of flowers and trees, soil quality, climate and sun exposure will have a unique imprint on it. It is a sculpture of the surrounding flora, a sculpture of the particular place on earth where the bees live. Comb is essential and co-evolved with the bees. It is their birthright to build their own comb. Once I began to understand the importance of natural comb, I could no longer move frames of comb the way I once did. How could I change what was created by the bien in a certain order? (…) On late spring afternoons when bees are flying in large numbers, I sometimes approach them carefully and move right in front of their nest entrance. Within a short amount of time, an increasing cloud of bees is forming and hovers all around me. Simultaneously the flying sound of many hundreds of them becomes almost like music. It feels like being within this being. It can bring thinking to cease. I close my eyes and just listen and surrender – surrender to a wordless world. The bien presents us with the opportunity to become quiet and to listen. Listening can be a part of being with bees. And in listening, we can practice non-knowing. Not to know presents us with the possibility to learn something new. Our mind can be very receptive to the effects of the bien. It may open our mind to a magnitude and oneness of life, with a new sense of our own true nature. The bees can show us that our life body does not end at our skin but extends into the environment. This sense of self can change one’s life and have a radical impact on the way we walk on the earth. 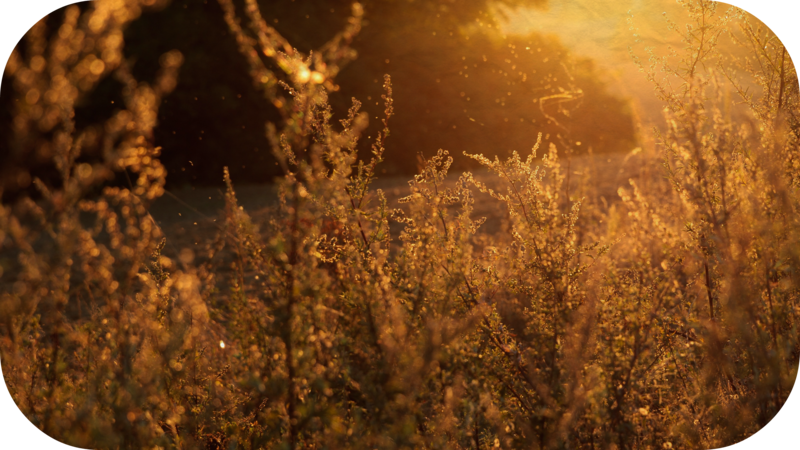 Apiculture can become a spiritual path, a journey into the great fullness of life, and it can deepen our personal practice. The bien can be a kind of apitherapy for the soul and inspire us on many levels. Rudolf Steiner in his bee lectures describes the bien as being permeated with life based on love. To touch them on that level and to be touched by them will show a new way of being with bees and a new way of being in this world. To ensure the harmony between bees and apiculturists, historically living with bees was ritualized. 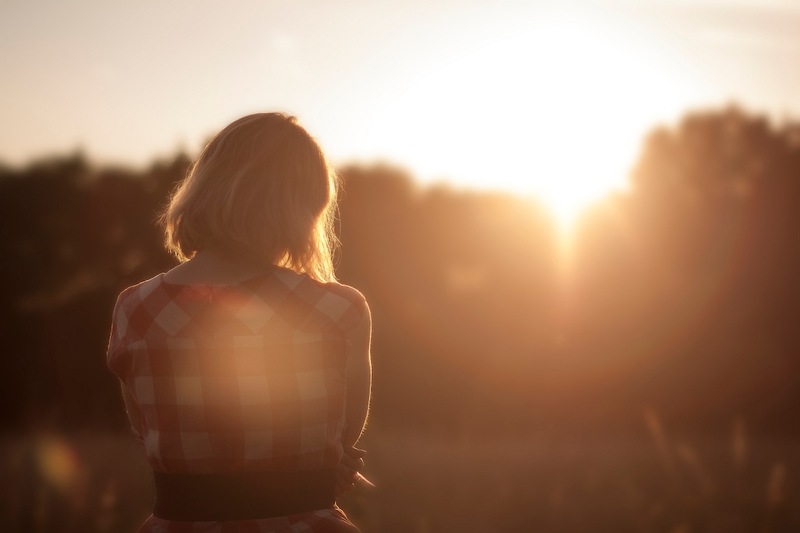 In our de-ritualized world, we face the challenge of finding the means to reconnect with different aspects of life and of finding guidance for being with the bien. Life on earth is in transition on all levels. In this pivotal time, the bees enter our awareness worldwide through their struggles. Honeybee sanctuaries such as The Melissa Garden are marking a change in our cultural, emotional and agricultural landscape. Apiculture is beginning a transformation towards a wholesome way of living with bees. New voices are emerging. The bien is calling. In his bee lectures, Rudolf Steiner concludes that “we need to study the life of bees from the standpoint of the soul”. In the end, the world shows us whenever the soul element is missing in our lives. The current plight of the bees is showing us the repercussions. 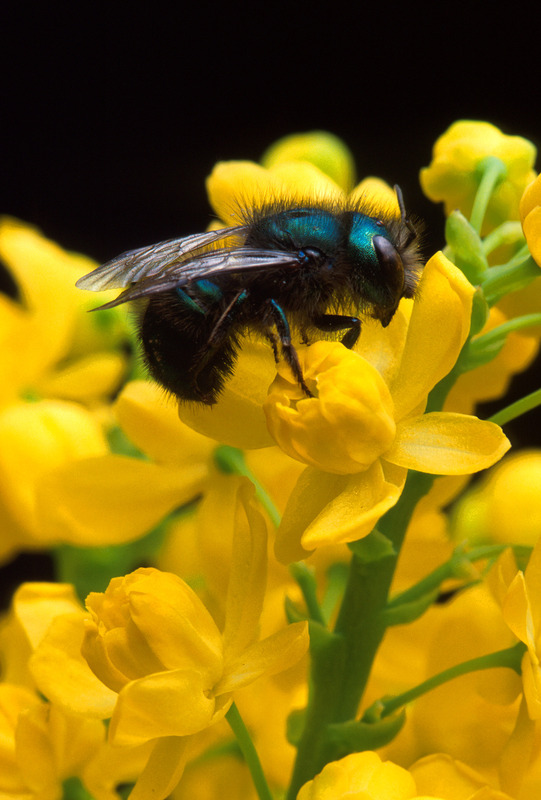 As our life-long allies, the bees mirror our own struggle to live in this world. Their encouraging message is to wake up– to wake up to this fragile, wonderful and precious life. May we all wake up! This excerpt appears with permission of the author. The Bien: Oneness of the Honeybee Colony appears in its entirety in the companion book to the 2010 film Queen of the Sun. Purchase a copy here. Michael Thiele is leading an innovative approach within the biodynamic apiculture movement and teaches in the United States and abroad. He founded Gaia Bees (www.gaiabees.com) to create an educational platform and resource for a new approach to living with bees. Through Gaia Bees, he provides set up and care for “landscape apiaries” and offers seminars and presentations. He promotes alternative and bee-centered bee hive/nest designs. In 2007, Michael co-founded “The Melissa Garden” (www.themelissagarden.com) in California, which was one of the first Honey Bee Sanctuaries in the US (now a pollinator sanctuary), and his work is documented in various (inter-) national magazines, books and film documentaries (“Queen of the Sun”). In 2013, he began working as a consultant for the USDA in the Dominican Republic. He lives with his family in CA, USA. Humans have set the realm of nature too far away. 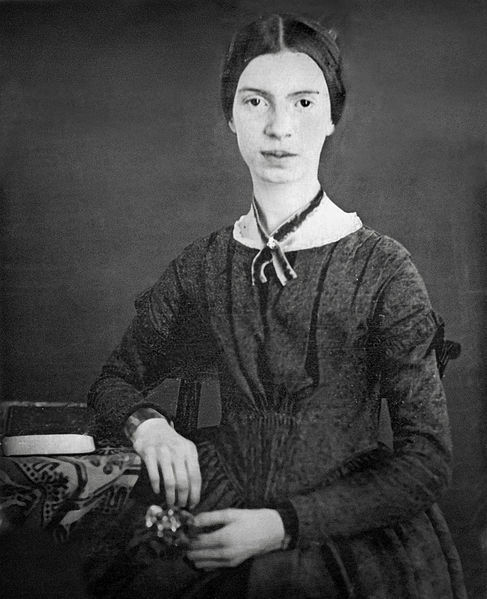 Emily Dickinson teaches me this. She sits beside me on the bench and tells me to look down at the bees in the grass. She points to the housewife in the ruddy sky. Emily tells me that we have set a boundary at the space where the wall meets the outside air, where the door opens to the porch, where the shelter we have built keeps us from the elements we do not control. But her poetry defies this imposed line between humans and nature. By blurring the distinction between outer and inner worlds, natural and domestic, her lyrics disorder our definition of home. What does it mean to dwell within the world as a human being who is only a part of a whole? What does it mean to consider that it is a home for more than humanity? Denise Levertov wrote that line in her essay on poetry and prophecy. Love of the world means openness. It means expansion rather than constriction. It means writing poems that are not necessarily welcome in your cultural milieu. It means acting out with your life what you say on the page. It means “a poetry of peace, a poetry of protest, of lament, of praise for the living earth; a poetry that demands justice, renounces violence, reveres mystery.” In order to write out of this engaged stance, the poet must be willing to trace “the interdependence of all things” in order to “reveal that unity, that trembling web of being” that underlies the world in which we live. And his or her poetry must reflect that web of being, working to connect, to manifest belief that there is no separation between humans, our actions, and the world we call our home. Emily was a prophet. Quiet, volcanic, drawing connections between this and this in order to see. Although she wasn’t standing in the town square of Amherst, making her proclamations, she was writing a long letter to the world over the course of her life. And she meant for us to read this letter. It was her life’s work to discover and ponder the world; it was her life’s work to be faithful to her visions, which she left for us in her bedroom: all those tiny books, sewn up with thread, ready for discovery. One vision of Emily’s that stays with us is her fondness for bees, which must stem from those countless days spent in her beloved garden. Bees appear again and again in her poems – from the bee “shod with Gauze” and helmeted with gold to the bee brewing “a honey’s weight.” Even the bee is invoked as a member of a holy trinity, one familiar to all who sit outside on a spring day: “In the name of the Bee – / And of the Butterfly – / And of the Breeze – Amen!” She writes that “Of Nature I shall have enough / When I have entered these / Entitled to a Bumble bee’s / Familiarities.” Emily desires to be a member of the world that we often overlook – to meet the intricacy of a flower’s pistils, to bump against the underside of a tulip’s petal. To enter this world is the greatest union she could wish. Throughout her poetry, she seeks out the particulars. To take part in the small means everything. Nature is not a grand spectacle, or somewhere out there far away. Nature is as close as the bee in the flower next to her hand; it is as close as her desire to become the bee that enters the flower. I look to Emily as my guide, she who prophesies and explores the consciousness not only of human beings but also of flowers, bees, bodies of water, hills, storms, and trees. Her work underscores the truth that the world of nature is ours and that it possesses us, too. There is no separation, no boundary. And if no separation, I must imagine myself in many places and as many creatures, and wish, like Emily, “‘But just to be a Bee’ / Upon a Raft of Air / And row in Nowhere all Day long.” And if I imagine myself differently, if I see myself as possessing a bee’s consciousness, alive in the wind, ready to visit the clover – then I can finally understand that to destroy a bee, or anything of this earth, also destroys me. Jo Vance lives and writes in Seattle, Washington, where she also strives to have a garden like Emily’s. She received her MFA from Seattle Pacific University’s creative writing program, and is currently at work on a book of essays. Top: Yard at Emily Dickinson Museum. Photo by Jo Vance. Chanel No. 5 on her left wrist. splash on their dads’ aftershave. toss fabric softener sheets into dryers. shampoo, toothpaste, and floor polish. The Cloud can take no more. shrivel. Freesias and geraniums close. 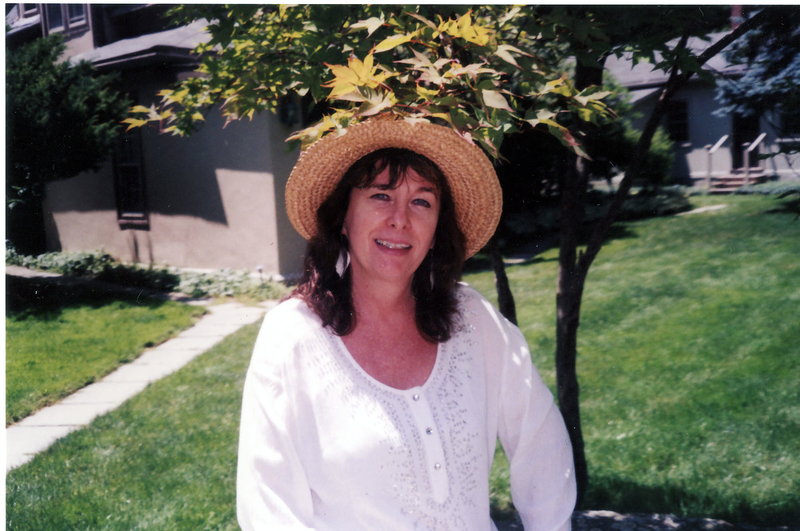 Maureen Ann Connolly’s poetry has appeared in MARGIE, Off the Coast, Words and Images, Spillway, at workliterarymagazine.com and poeticamagazine.com, as well as in the anthology Lavanderia: A Mixed Load of Women, Wash, and Word. She has won a Maine Literary Award for Individual Poem and was a Judson Scholar at the Antioch Writers’ Workshop. Three of her poems were among the 100 selected by readers for the Poetry Ark Anthology (2011). She is also a playwright. She lives in Maine. Top Row: Leni Zumas, Claire Preston, Rachel Cochran, Susan Kelly-Dewitt, Sarah Marshall, Karina Borowicz, Craig Goodworth. 2nd Row: Charles Goodrich, CA Conrad, Paulann Petersen, Malachi Black, Frank Sherlock, Jeanine Hathaway. 3rd Row: Adrienne Flagg, Lynn Otto, Kiandra Jimenez, Susanna Childress, Lois Leveen, John Beer, Kate Gray. 4th Row: Jeanne Wagner, Jennifer Moore, Lois P. Jones, George Venn, Elizabeth Lawson, Lea Banks, Annette Fisch. Last Row: Marina Callahan, John Davis, Marty Williams, Kristin Berger, Dena Rash Guzman, Maxine Silverman. 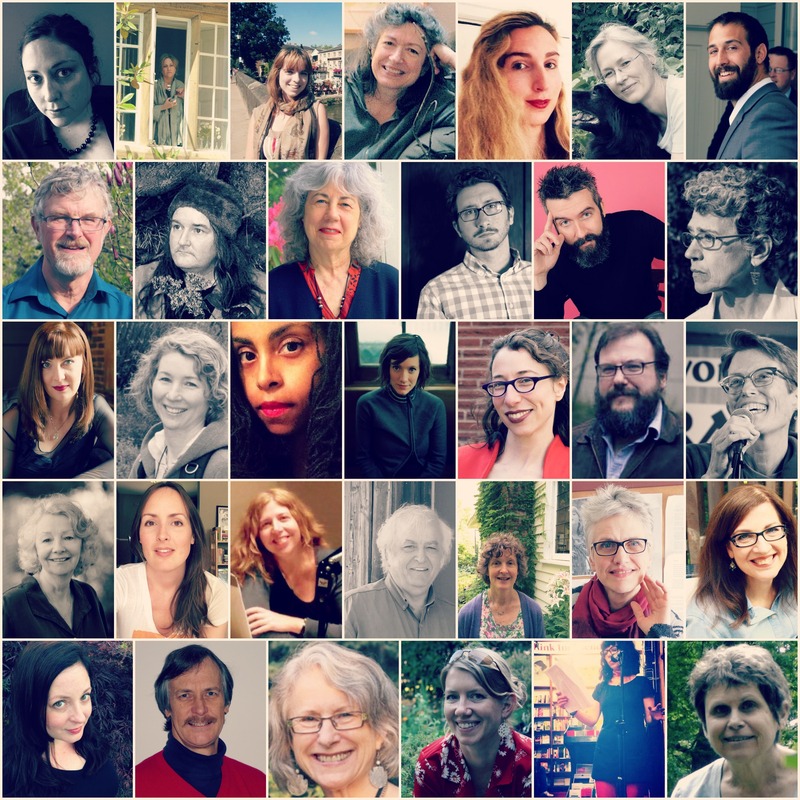 We’re thrilled to introduce you to 34 writers whose work graces the soon-to-be-published pages of Winged: New Writing on Bees. Our heartfelt thanks to these and the many other talented writers who submitted their work for consideration. This book and this project simply would not exist without your voices. Lea Banks has published or has work forthcoming in Poetry Northwest, Big River Poetry Review, The Laurel Review, Connotation Review, and American Poetry Journal, among others. She is the author of All of Me, (Booksmyth Press, 2008). Banks is the founder of the Collected Poets Series in Western Mass. She attended New England College’s MFA program and her poems, “All of Me,” and “Hallelujah,” have been nominated for a Pushcart Prize. Recently, Banks was a fellow at the Vermont Studio Center. Her chapbook is being re-issued as a paperback by Booksmyth Press. John Beer is the author of The Waste Land and Other Poems (Canarium, 2010), which won the Norma Farber First Book Award from the Poetry Society of America and the chapbook Lucinda (SPORK, 2013). A graduate of the Iowa Writers’ Workshop, he lived on the Greek island of Patmos for two years in the late 1990s, where he served as literary assistant to Robert Lax. Beer edited a collection of poems by Robert Lax, Poems (1962-1997) (Wave Books, 2013). He currently teaches creative writing at Portland State University. Kristin Berger is the author of a poetry chapbook For the Willing (Finishing Line Press, 2008), and former editor at VoiceCatcher. She has been awarded Writers Residencies at The H.J. Andrews Experimental Forest and at Playa, Summer Lake, Oregon. Recent poetry and non-fiction has appeared in, or is forthcoming, in Camas, Cirque, Forest Log (Spring Creek Project), and North Dakota Quarterly. Malachi Black is the author of Storm Toward Morning (Copper Canyon Press, 2014). His poems appear widely in journals and anthologies, and his work has several times been set to music and has been featured in exhibitions both in the U.S. and abroad. Black is Assistant Professor of English and Creative Writing at the University of San Diego. Karina Borowicz is the author of two poetry collections, Proof (Codhill Press, 2014) and The Bees Are Waiting (Marick Press, 2012), which won the Eric Hoffer Award for Poetry and was named a Must-Read by the Massachusetts Center for the Book. Her poems have appeared widely in journals, including AGNI, Pleiades, Shenandoah, and The Southern Review. 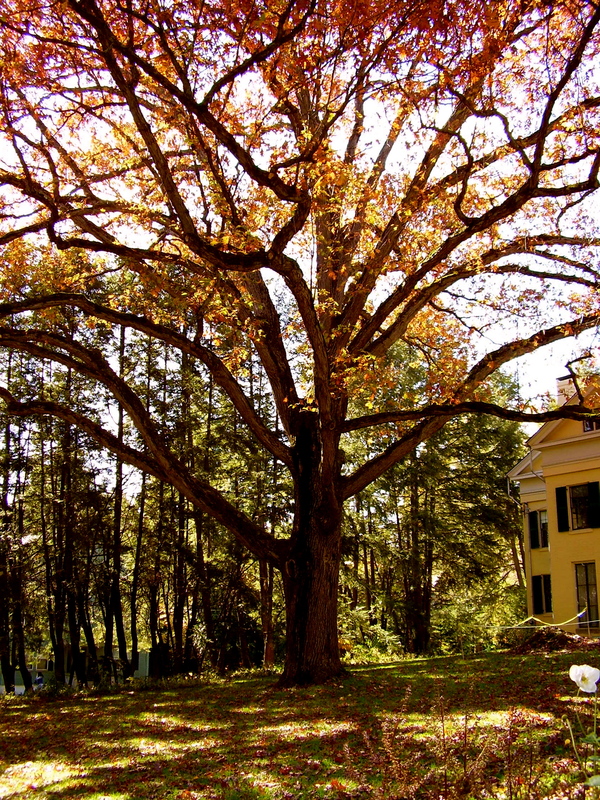 She makes her home in the Connecticut River Valley of Western Massachusetts. Marina Callahan lives in Portland, Oregon and attends Portland State University. 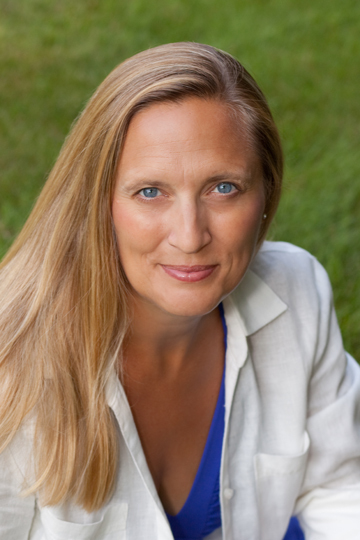 Susanna Childress is the author of Entering the House of Awe (New Issues, 2011), winner of the Society of Midland Authors Poetry Award, and Jagged with Love (University of Wisconsin Press, 2005), winner of the Brittingham Prize in Poetry. She also writes fiction and creative nonfiction and, along with Joshua Banner, comprises the band Ordinary Neighbors, whose full-length album The Necessary Dark draws on her writing. She lives in Holland, Michigan. Rachel Cochran is a recent graduate of the University of Missouri’s Master of Arts program in English. She has stories forthcoming in Angelic Knight Press’s Demon Rum anthology and Antimatter Press’s Local Magic​ anthology. Previous works of her short fiction and nonfiction have appeared in Deep South Magazine, The Missing Slate, Literary Orphans, The Ohio River Review, and more. John Davis is the author of Gigs (Sol Books) and The Reservist (Pudding House Press.) His recent work appears in Hawaii Pacific Review, Iron Horse Literary Review, The North American Review, and Rio Grande Review. He teaches high school and performs in rock n roll bands. Annette Fisch is a graduate of Barnard College and lives in New York. She is currently working on her first novel when not practicing law. She particularly enjoys combining emotional distress with scientific distress in her fiction. Her work has previously appeared in Black Heart Magazine. Adrienne Flagg is a professional performer and producer based in Portland, Oregon. She teaches theater throughout the US and is seen on stages in both improvisation and plays. She grew up on a sheep farm in Turner before moving to Portland and then New York for professional training. While she was gone, her father briefly tried his hand at beekeeping. Adrienne has taken the hobby further than her father and is on her sixth year of beekeeping. Michele Glazer’s last book is On Tact, & the Made Up World (Iowa 2010). She teaches in the MFA program at Portland State University. 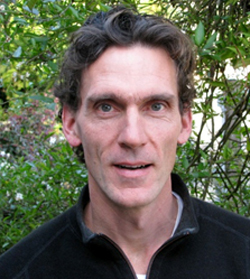 Charles Goodrich is the author of three volumes of poems, A Scripture of Crows, Going to Seed: Dispatches from the Garden, and Insects of South Corvallis, and a collection of essays about nature, parenting, and building a house, The Practice of Home. He serves as Director for the Spring Creek Project at Oregon State University, a program that hosts writers’ residency, literary readings, and symposia at the intersection of literature, environmental science, and ethics. Craig Goodworth is an interdisciplinary artist whose practice lies on the boundary between ecology, poetics and spirituality. Working in drawing, installation and poetry, his art addresses the body and place. Goodworth holds master’s degrees in sustainable communities and fine art and has received fellowships in art and writing as well as serving as an artist-in-residence in various contexts. Kate Gray tends her students’ stories at Clackamas Community College, where she has been teaching for 20 years. Her first full-length book of poems, Another Sunset We Survive, was a finalist for the Oregon Book Award in 2007 and followed chapbooks, Bone-Knowing (2006), winner of the Gertrude Press Poetry Prize and Where She Goes (2000), winner of the Blue Light Chapbook Prize. Her novel, Carry the Sky, is an attempt to look at bullying without blinking and will be published by Forest Avenue Press in 2014. Dena Rash Guzman is a poet, essayist and beekeeper living on her family’s sustainable farm outside Portland, Oregon. Life Cycle—Poems, her first book, was published by Dog On A Chain Press in 2013. Her work can be found online and in print at The Poetry Foundation, The Rumpus, The Nervous Breakdown, Luna Luna Magazine, Ink Node and elsewhere. She has had her poems anthologized several times, including by publishers in the People’s Republic of China where she has performed her work for thousands. Jeanine Hathaway, on the MFA Poetry faculty at Seattle Pacific University, has published a novel (Motherhouse with Hyperion: NY, 1992), personal essays (“Appearances” in The Wichita Times, monthly from 1995-2007), and poetry (The Self as Constellation with UNT Press: TX, 2001, and The Ex-Nun Poems with Finishing Line Press, 2012). Kiandra Jimenez is a poet, homeschooling mother, and avid organic vegetable gardener from California. She teaches creative writing at UC Riverside Extension and serves as Arts Editor of Lunch Ticket Literary Magazine. She is a current MFA candidate in Fiction and Poetry at Antioch University, Los Angeles. Visit her at hungryfolktale.com. Elizabeth Lawson recently retired from the Writing Department at Ithaca College where she taught writing in many forms for over a decade. Educated at Bryn Mawr College, she holds a MA in Botany from the University of Texas at Austin, a PhD in Plant Biology from Cornell University, and an MFA in Nonfiction from Southern New Hampshire University. She worked at Kew Royal Botanic Gardens in the UK, at the Brooklyn Botanic Garden as a botanical instructor, and for the Ecological Society of America and the Botanical Society of America for many years as a technical/copy editor. She writes as a naturalist at www.elizabethwinpennylawson.com. Lois Leveen is the author of the novels The Secrets of Mary Bowser and Juliet’s Nurse. Her poetry has appeared in numerous journals and been engraved on a hospital wall. She is a recovering academic and volunteer urban beekeeper. Sarah Marshall grew up in Oregon, earned her MFA at PSU, and continues to write and teach in the area. Her essays have most recently appeared in The Believer, The New Republic, and Lapham’s Quarterly, and she is at work on a book about female victimhood narratives in American culture. Jennifer Moore has poetry published or forthcoming in American Letters & Commentary, Best New Poets, The Volta, Columbia Poetry Review and elsewhere, and criticism in Jacket2 and The Offending Adam. She holds degrees from the University of Colorado and the University of Illinois at Chicago, and is an assistant professor of creative writing at Ohio Northern University. Lynn Otto teaches writing and literature as an adjunct at George Fox University in Newberg, Oregon, and freelances as a copyeditor. Her work has appeared in Plain Spoke, Triggerfish Critical Review, Strong Verse, and Centrifugal Eye. She is soothed by the sound of bees because it means something is going right. Paulann Petersen, Oregon Poet Laureate Emerita, has six full-length books of poetry, most recently Understory, from Lost Horse Press in 2013. Her poems have appeared in many journals and anthologies, including Poetry, The New Republic, Prairie Schooner, Willow Springs, Calyx, and the Internet’s Poetry Daily. She was a Stegner Fellow at Stanford University, and the recipient of the 2006 Holbrook Award from Oregon Literary Arts. Melissa Reeser Poulin teaches English and creative writing in many settings, working with the elderly, high school students, and adult English language learners. Her poems have appeared in numerous journals, and she was a 2014 Pushcart nominee. She lives with her husband, a metal artist and blacksmith, in Portland, Oregon. Claire Preston is Reader in Renaissance Literature at Queen Mary University of London. Her books include Edith Wharton’s Social Register (2000), Thomas Browne and the Writing of Early-Modern Science (2005), Bee (2006), and The Aid of Similitudes : The Poetics of Scientific Investigation in Seventeenth-Century England (forthcoming 2014). Jill McKenna Reed is a poet, writing instructor, and beekeeper in Portland, Oregon. She is co-owner of Bee Thinking, a beekeeping supplier specializing in foundationless hives. When she is not writing or teaching, she can be found catching swarms or helping new beekeepers around the Portland area. Jill earned her MFA in Creative Writing – Poetry, at Portland State University. Frank Sherlock is the author of Space Between These Lines Not Dedicated, Over Here, The City Real & Imagined (w/ CAConrad), and a collaboration with Brett Evans entitled Ready-to-Eat Individual. Por Aquí, a Spanish-language collection of works translated by Carlos Soto-Román, will be published in Chile in fall 2014. Poems beyond the page have found their forms in installations/performances/ exhibitions, including Refuse/Reuse: Language for the Common Landfill, Kensington Riots Project, Neighbor Ballads, and B.Franklin Basement Tapes. Sherlock is a recipient of the 2013 Pew Fellowship in the Arts for literature. He is currently Poet Laureate of Philadelphia. Maxine Silverman’s poetry is published in many journals, anthologies (including Pushcart Prize III), and Enskyment: Online Archive of American Poetry. She is the author of three chapbooks (SurvivalSong, Red Delicious, and 52 Ways of Looking) and Transport of the Aim: Poems on the lives of Emily Dickinson, Thomas Wentworth Higginson and Celia Thaxter. In addition to poetry, she creates collage and visual midrash. Her website is http://www.maxinegsilverman.com. George Venn is an award-winning poet, writer, literary historian, editor, linguist, and educator, and an eclectic, complex, and distinguished figure in western American literature. Taught beekeeping in his grandfather’s apiary, he has also worked for apiaries in Washington, Oregon, and Montana. See Keeping the Swarm (Wordcraft, 2012) for details, or http://www.georgevenn.com. 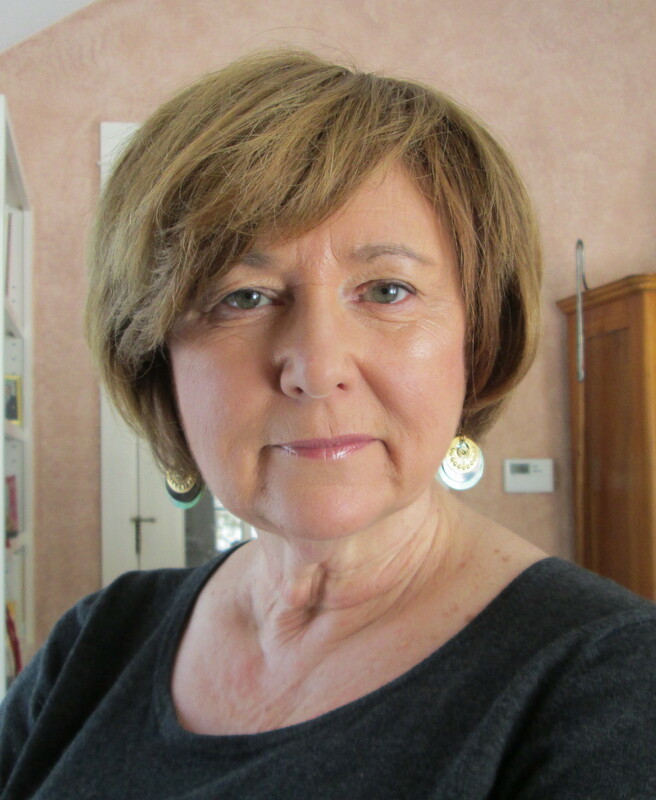 Jeanne Wagner is the recipient of several national awards, including the 2013 Thomas Merton Poetry of the Sacred Prize. Her poems have appeared in Cincinnati Review, Alaska Quarterly Review, Hayden’s Ferry and American Life in Poetry. She is on the editorial board of California Quarterly. Her most recent book, In the Body of Our Lives, was released by Sixteen Rivers press in 2011. Marty Williams is a working writer living in both Oakland, California, and on Kenai Lake in Alaska. Her poetry appears in Poetry East, Inquiring Mind, Digital Paper and dcomP magazine, as well as in the anthology Bearing Witness: Poetry By Teachers About Teaching. She has published chapbooks, poetry postcards, and artist books. Marty loves bees and other pollinators. Leni Zumas is the author of the story collection Farewell Navigator (Open City) and the novel The Listeners (Tin House), which was a finalist for the 2013 Oregon Book Award. Her work has appeared in Quarterly West, Open City, Salt Hill, New Orleans Review, GOOD, Harp & Altar, New York Tyrant, and elsewhere. She has been awarded fellowships by the Lower Manhattan Cultural Council and the New York Foundation for the Arts. Zumas is an assistant professor in the MFA Program in Creative Writing at Portland State University.